Enjoy the the Spring sun with family and friends! Bring your own picnic baskets or buy one from us! 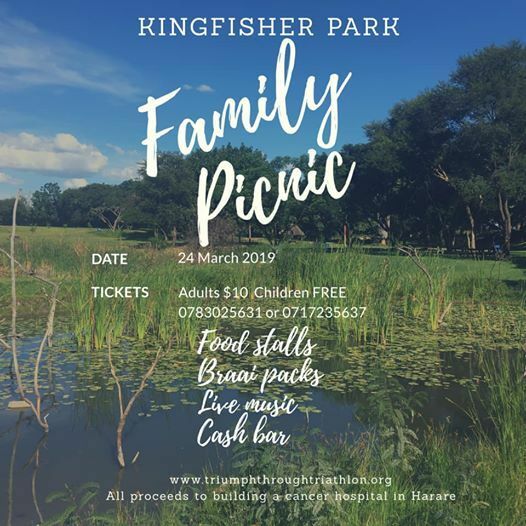 Triumph Through Triathlon Trust is hosting a family picnic from ours to yours and all the proceeds go towards building a cancer hospital in Harare.